What is Ballistic and Military Standards Testing? NTS has been serving the needs of the U.S. government, military, and commercial sectors for fifty years. NTS technical experts have the knowledge, experience and dedication to successfully conduct extensive evaluation and testing programs. 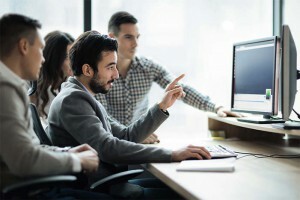 We can provide complete turnkey solutions for MIL-STD testing and other compliance programs, helping you manage risk, improve safety and develop better products overall. NTS Camden: Our Camden, AR facility is one of the most complete independent weapons and ordnance testing facilities in the country. Home of the National Ordnance and Ballistic Test Center, NTS Camden hosts an advanced suite of simulation, data acquisition and analysis tools, and we can provide the intelligence and insights necessary to streamline the MIL-STD testing process. Notable features include a 3000 meter firing range, drop tower facility, a vibration testing system capable of testing up to 40,000 force pounds, and a set of hazardous material shakers that can be run at temperatures between -150 and 300°F. 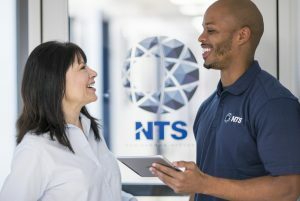 With these and other advanced technologies,NTS is equipped to satisfy the defense industry’s testing and evaluation needs well into the future. NTS Wichita and Chesapeake Testing: NTS Wichita and Chesapeake locations are home to our body armor and small arms testing facilities. Staffed by a team of engineers with a background in ballistics analysis for defense and law enforcement, these facilities are able to expedite compliance with MIL-STD-662F, NIJ 0101.06 and other standards. Key features include indoor and outdoor ranges, non-ballistic testing laboratories (STAB), X-ray CT scanning, and environmental conditioning along with a suite of advanced data acquisition tools including Doppler radar, Phantom high speed cameras and FARO laser scanning software. NTS Dana Point: Our Dana Point, California testing lab offers expertise in developing custom ordinance testing protocols for military, aerospace and other applications. The team at Dana Point can provide projectile and rocket motor analyses, interior ballistics modeling and other services necessary to complete MIL-STD-810 testing. NTS Rustburg: The NTS lab in Rustburg, VA is a certified MIL-STD-901D heavyweight and lightweight test facility. Featuring floating shock platforms that can test up to 125,000 pounds, NTS Rustburg can also perform MIL-STD-167-1 vibration testing, temperature and humidity testing and more. NTS Anaheim & Baltimore: NTS materials testing laboratories in Anaheim and Baltimore offer extensive electrical, mechanical, and materials testing to military specifications including MIL-PRF-55110, MIL-PRF-31032, MIL-PRF-50884, MIL-STD-202, MIL-STD-883. MIL-DTL-901E— the “Department of Defense Requirements for Shock Tests, High Impact, Shipboard Machinery, Equipment, and Systems” — is the military standard governing shock-resistance requirements for shipboard equipment. MIL-DTL-901E certification is required for principle devices, subsidiary components and subassembly components, including both those that are essential for safety and combat, and those that could become hazardous to the crew if exposed to shock. Shock testing to MIL-S-910 standards can be performed at NTS labs across the country. Our Rustburg, VA location is specially equipped with a 36-acre, 1,800 x 250 x 130-ft. quarry for heavyweight applications. NTS has been a partner to defense and naval contractors for more than 50 years. In addition to the above, we can provide testing to other MIL standards, including MIL-STD-120 (gage inspection), MIL-STD-248 (welding and brazing procedures), MIL-STD-516 (airworthiness) and MIL-STD-767 (control of hardware cleanliness). For more information, request a quote or contact an NTS location near you. Please browse this section to review our defense testing services and contact us to discuss your specific needs.